The Childrens Mukluks pattern by Diane Soucy are really cute, quick to knit up in a bulky yarn, and I think they’re a.so super toasty. The pattern is a classic with clear directions to follow. Starting in the center of the sole, the foot is knitted first from the sole and then the toe with a seam sewn at the very end. The first part is done on US 7 straight needles. Once the foot is finished, the cuffs are knitted in the round on DPNs. Several rounds of knit and purl make up a cuff that looks like Alaskan mukluks; a little bit poofy as if they were made of animal hides in the good old days. 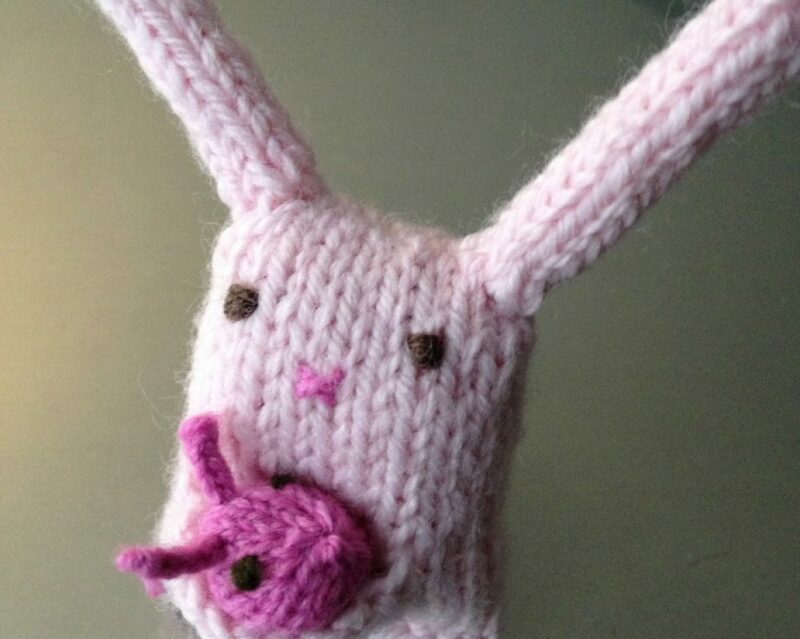 I think I’m good with knitting mine! There is a similar p attern for adults and I would suggest that if you want to knit a simple and warm winter gift for someone else or for you, pick this one. It’s quite remarkable. I plan to buy and knit the adult slippers for at least one adult this Christmas! The colors of the yarn don’t really show up as they really are but as I was knitting the tiny ones for Faye, I realized they were in “Frozen” colors (think Elsa and Anna) and these have started a very dangerous Frozen-themed gift buying spree. I am heading to California on Thursday to meet my nieces for the first time. I’m so excited!!! This entry was posted in Knitting, Review, Yarns & Patterns and tagged bulky, Childrens Mukluks, Diane Soucy, easy, finished objects, Frozen, gift, knit, knitting, pattern review, Queen Bee Knits, slippers, stash by lindarockwell3. Bookmark the permalink.